National Australia Bank chief executive Andrew Thorburn, 53, has headed for the exit. National Australia Bank shares fell after the chief executive officer and chairman both resigned, becoming the highest-profile casualties of a sweeping inquiry into misconduct in the country’s financial industry, Bloomberg reports. 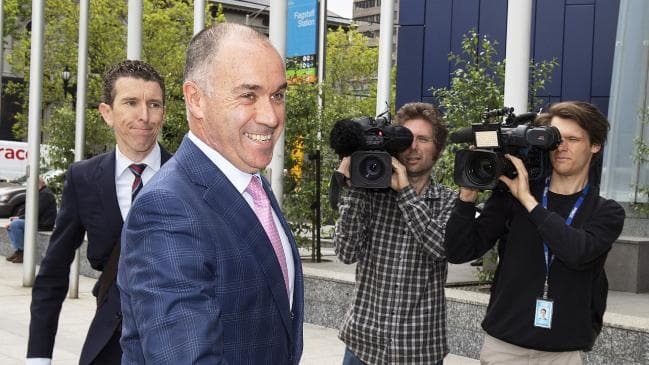 Andrew Thorburn, 53, and chairman Ken Henry, 61, announced their departures late yesterday, just days after being the target of withering criticism in the Royal Commission’s final report, which questioned whether they were capable of leading the lender’s response to a string of scandals. The stock declined as much as 1.2 percent in early Sydney trading, and was down 13 cents to A$24.80 at 10:10 a.m. local time. Thorburn’s replacement will have to restore customer trust in the lender and steer it through a tougher landscape of falling earnings, a sinking housing market and rising funding and compliance costs. They will also inherit Thorburn’s overhaul of the bank, including the elimination of 4,000 jobs and increased spending on technology and process-automation. "The removal of the current CEO in the middle of a major transformation increases execution risk,” Macquarie Group analysts said in a note.